He has also performanced: Bach, Mozart, Britten, Cole Porter, Lehar and Dave Brubeck with Mr. Brubeck. Ian had been a member of the Phantom of the Opera for five successful years performing the role of André. He had also performed the role of Phantom over 200 times for the First, Second, and Third National companies of the Phantom of the Opera. In 1999, Ian was chosen to take over the lead role of Das Phantom der Oper in Hamburg, Germany. 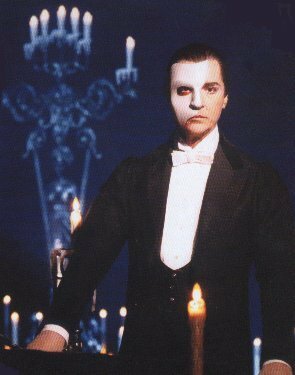 The year 2000 saw the Tenth Anniversary of Das Phantom der Oper and Ian was there to perform as Das Phantom. Ian has taught at the Stella Academy of School of Music, Dance and Drama in Hamburg. 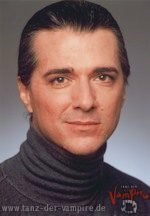 Before Ian becomes Phantom again in Stuttgart, he was Count von Krolock in the Tanz der Vampire.